There are times in life when we may feel totally hopeless, emotionally overwhelmed and powerless to influence or resolve the circumstances that are distressing us and that death is the only option and suicide is the only way out of our problems that seem unfixable and pain that seems too much to bear. However, as much as you may want to die, you may also want a solution to your problems and for others to understand how you feel and to help. 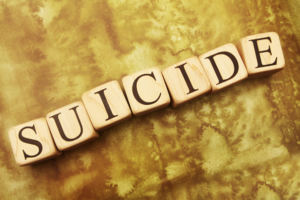 If you have had suicidal thoughts or are worried that a friend or family member is contemplating suicide, please take immediate action by contacting any one of the organisations listed by The Community Programme, and by speaking to supportive professionals who will help you to understand that with time and support, problems can be overcome and pain and suicidal feelings will pass and who can show you the options available to help break the cycle of negative and suicidal thought. Suicidal thoughts can lead to feelings of extreme loneliness and isolation and The Community Programme will help you to find support groups in your area, where you can meet others similarly affected and find out how to access the practical help available near you.